Of The Two Coreys, Corey Feldman has the more successful career. While Feldman went on to star in such classics as Meatballs 4, My Life as a Troll, and Puppet Master vs. Demonic Toys, Corey Haim was relegated to total crap. 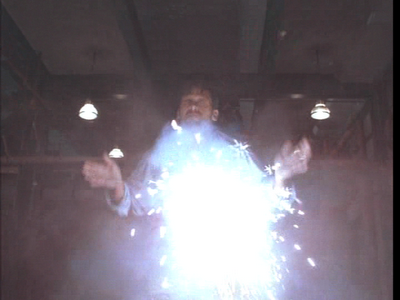 Take for example 1997's Demolition University, the sequel to Demolition High. College kids on a field trip to a power and water treatment plant are held hostage by an Iraqi terrorist splinter group. Lenny Slater (Haim) must John McClane his way through the facility and stop the terrorists from enacting their nefarious plan. Yippee-ki-yay, Mister Falcon. 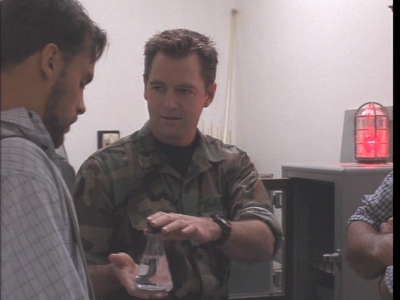 With the help of a disgruntled Army officer (Todd Allen), the terrorists take the plant over to release the deadly VX solution into the water supply. It is a dangerous substance, able to set off Alka Seltzer tablets in the mouths of anyone exposed to it. Which is why it is kept in a fragile Erlenmeyer flask with a loosely-applied rubber stop. At the same time, Slater courts mature (both intellectually and physically) undergrad Jenny (Ami Dolenz), who would rather whine about her difficult life than give him a yes or no answer. Luckily, Slater stows away on a class field trip to show Jenny his sweet counter-terrorism close combat karate moves. They didn't consider a spiky-haired 20-something with facial piercings, penciled-on eyebrows, and forehead acne much of a selling point. The film contains all your fondest memories about college. 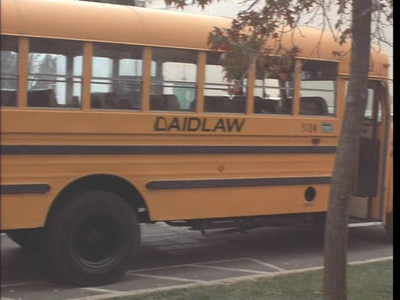 Football jocks, field trips, large yellow school buses, and a homecoming dance. What isn't particularly present is the college itself. There are only brief introductory scenes of a university, and at no point is it demolished. The movie also feels straight out of the 80s. The students wear denim jackets and high top sneakers, the soldiers sport Reagan-era fatigues, and the power plant is full of glowing green monochromatic computer monitors. If it weren't for a reference to Desert Storm, and Haim's unfortunate run-in with puberty, no one would suspect this film was made the same year as Titanic. Demolition University is not an overwhelmingly terrible movie, just one with a generic plot, confusing setting, anachronistic DVD cover, shot on video and featuring a completely unlikable and washed up child actor. McGuinness: I'm faster than you on and off the field. Slater: I wouldn't brag about your premature problem if I was you. Slater: It looked like a AK-47. McGuinness: How would you know? 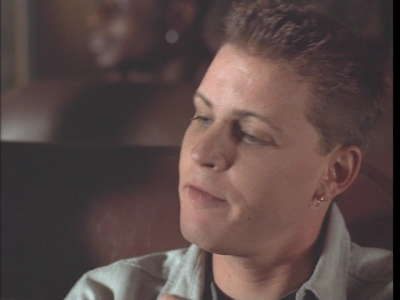 Slater: My dad's a New York cop. McGuinness: Oh that makes you a gun expert? Slater: No it's just... I've done some shooting, alright? Jenny: Aren't assault rifles illegal? Terrorist: I KEEL YOU, AMERICAN! Max: We got us a Mexican Standoff! Or, as they say in Mexico, a "standoff!" Elia: I was hoping we would die side-by-side, but at least we will get to die together.